Highlights of the Sky Bet Championship match between Brentford and Millwall. 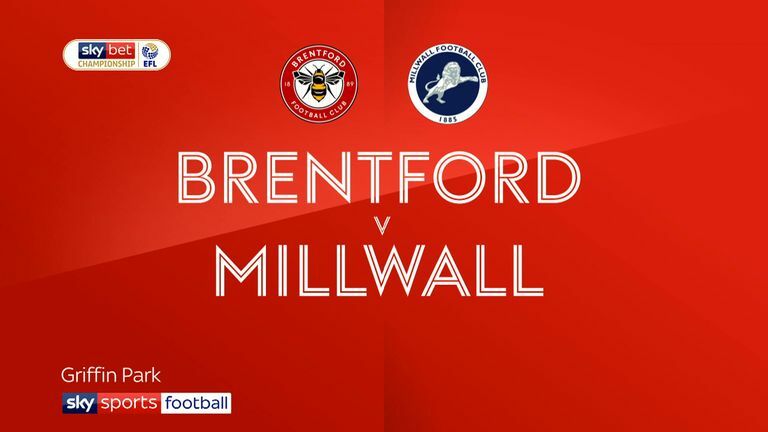 Brentford ended a nine-game winless run with a hard fought 2-0 derby success over Millwall thanks to second-half goals from Sergi Canos and Ollie Watkins. Canos broke the deadlock just after the break when he latched onto a clever Neal Maupay through-ball to draw Lions 'keeper Ben Amos and coolly slide home from eight yards. 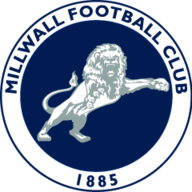 It was a physical game of contrasting styles, with Millwall's effective long-ball approach cancelling out the hosts' passing game for long spells. Millwall were always an aerial threat with striker Lee Gregory and giant centre-back Jake Cooper posing the home defence problems from set-pieces. 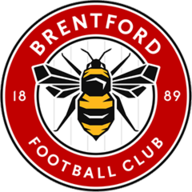 The closest either side came to a goal was on the half hour when the Bees' Algerian winger Said Benrahma cut in from the left and curled a rising drive which Amos was relieved to see bounce off the bar. Benrahma was a thorn in Millwall's side before the break and again went close minutes later with a dipping free-kick over the wall that bounced the wrong side of the post. The livewire winger signed off an intriguing cat-and-mouse half with a carbon copy effort of the one that hit the woodwork, but this time he was well wide. Canos changed the complexion of the game with his opener just after the interval and came close to making it two in the 72nd minute when his far-post header bounced off the angle to safety. Benrahma continued to probe and his teasing left-wing cross was inches away from the boot of the onrushing Maupay after 52 minutes. His free-kick flew just over and then a 25-yard pot-shot sizzled just wide of the post with Bentley beaten. Skipper Romaine Sawyers almost made it three at the death but his deflected drive looped just over the angle with the 'keeper beaten. Thomas Frank: "We have some very exciting players and I believe we can always do that little bit more, but we needed that win to start to believe in that even more. "We created a lot of good chances and took two of them very well against a side that is very effective. That will help with confidence and will help us add that little bit extra as we go forward." Neil Harris: "We don't overthink this lack of an away win, but we have to have a bit of luck and we need to find that mentality of getting back to winning ways on the road. "At this level, you have to work at it to make it happen and as a group I don't think it's a major issue that hard work won't resolve."